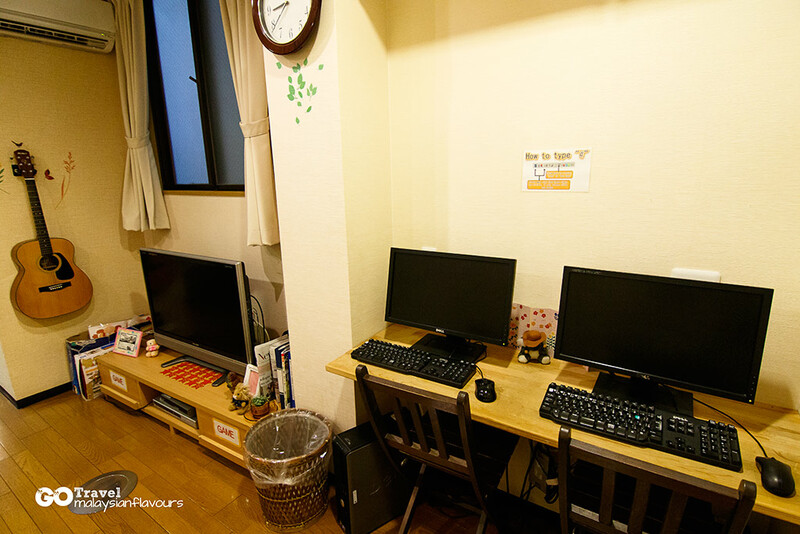 Kyoto Hana Hostel ( 京都花宿 ) in Kyoto City, Japan fulfills all accommodation requirements for our budget travel – near to Kyoto station, affordable price, surrounded by restaurants, clean, well-maintained, quiet and cozy location. 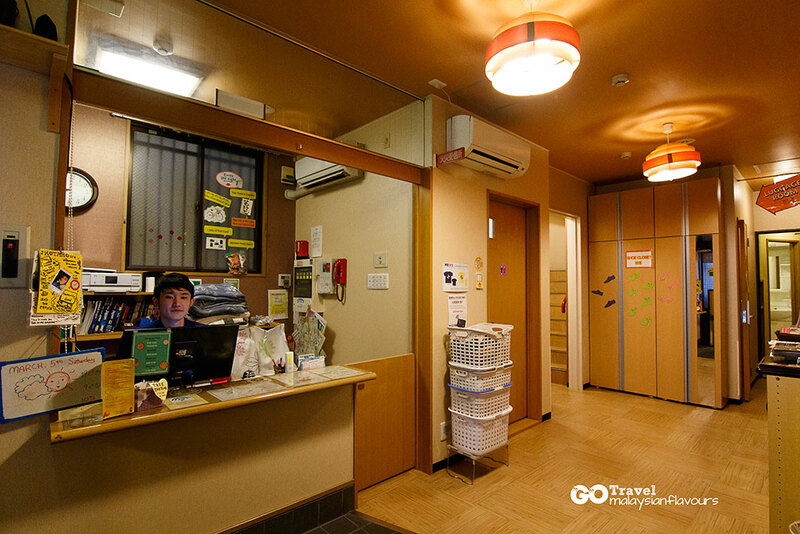 Some call it as hybrid inn, some say it is Ryokan while some recognize Hana Kyoto Hostel just as a hostel, as it is named. 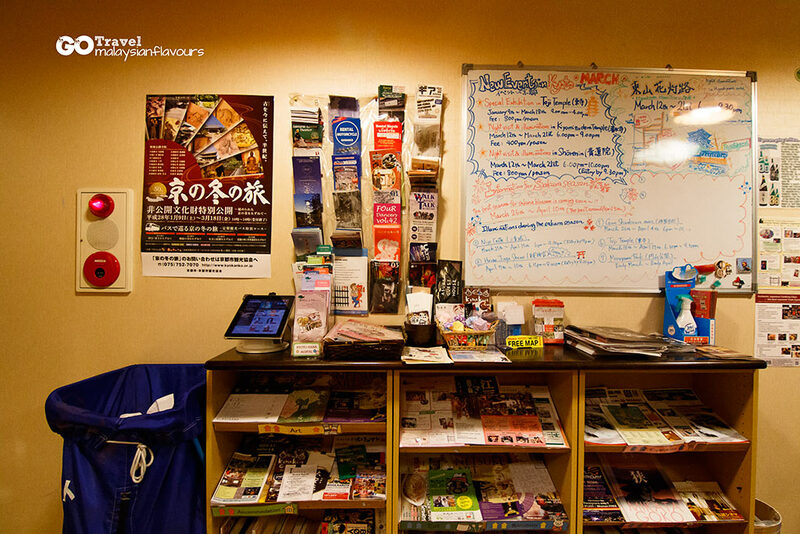 To us, the hotel showcases a little bit of all these titles, because it is converted from a Ryokan building. 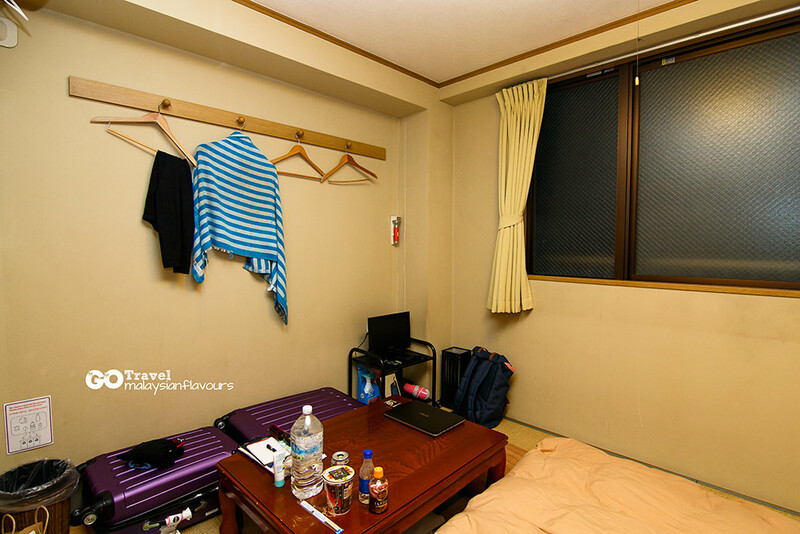 Rooms are partitioned into normal dormitory with double-decker beds and private rooms in tatami-style. Suitable for single travellers, couples and family. 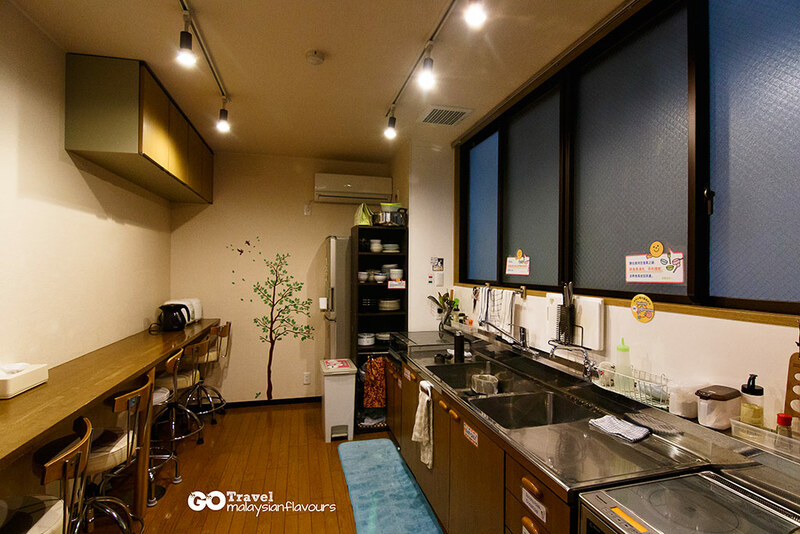 Kyoto Hana Hostel is located just 5-minutes walking distance from Kyoto station. To reach, go to the station’s central exit (中央口). Kyoto Tower is in front of you. Walk straight and pass the bus stop (the place where you wait for bus to Kiyomizu – Dera Temple), cross the road. Continue straight (Yodobashi on your left) and walk like 5 minutes until you reach a cross junction with famous Sukiya Gyudon shop at the opposite. Cross the road, keep right and turn into a small alley beside Sukiya, after Kyoto Station Hotel. 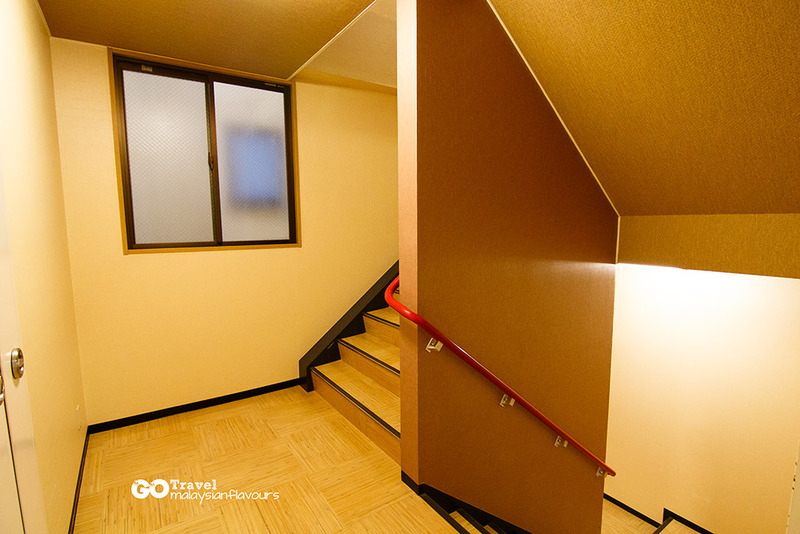 You will see Kyoto Hana Hostel, just 50 metres away. Hana Hostel looks similar like many other hostels from the outside, with vending machine, bicycle to rent, clothes washing machine filling up the small front facade. Push the door in we were welcomed with warmth greetings. Reception area, shoe racks and lots of travel information in lobby. The huge hand-drawn map of Kyoto tourist attractions pasted on wall is really useful. We need to take off our shoe before stepping on the “wooden flooring”. Check – in time is 3PM to 10PM. Check out time is 8AM to 11PM. Receptionist will be around from 8AM to 2PM, 3PM to 10PM. It is suggested to reach within these two time frames but if you couldn’t due to flight reasons, do keep the hostel staffs informed. We reached rather early. Staffs helped to keep our belongings in their luggage room for FREE. Came back in the evening and got our room key. The not-so-happy-task : Kyoto Hana Hostel has no lift, so we had to climb up the stairs, carrying our huge luggage. Luckily our room was on first floor. Still, enough to make us felt exhausted after a long day of walking. Haha. We stayed in Twin Japanese Ensuite Room with Private Bathroom for two nights. The accommodation welcomed us with a tiny hallway, toilet and bathroom on the left, sleeping room at end corner. 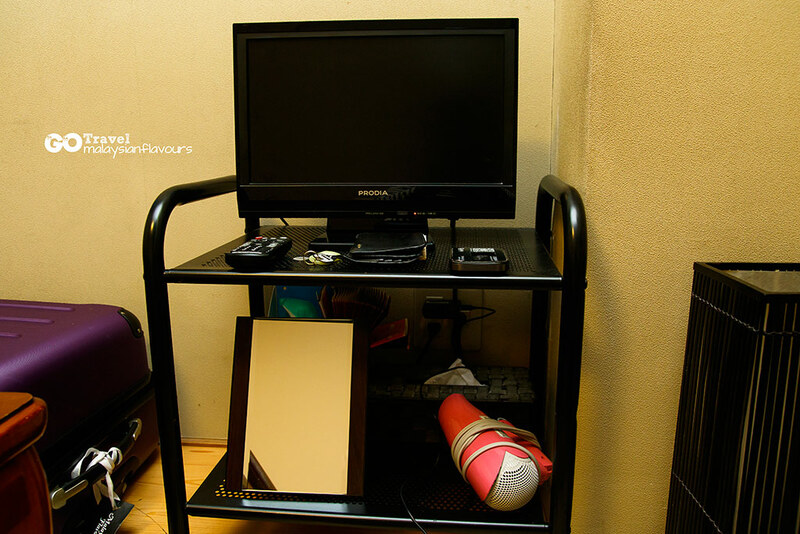 Small in size as expected, but equipped with some of the basic amenities – Free Wifi, mini television, hair dryer, shampoo, bath gel, toilet rolls. 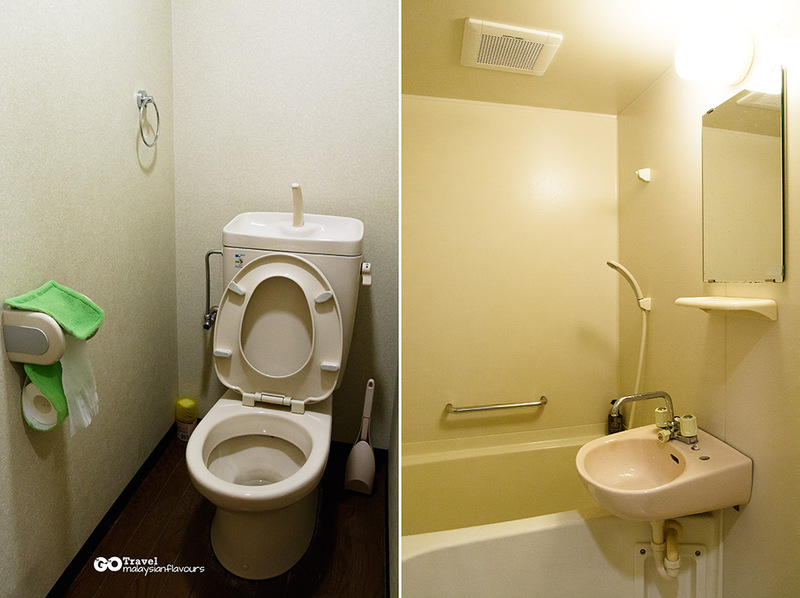 No towels are provided but can be rent at 100 Japanese yen per piece. 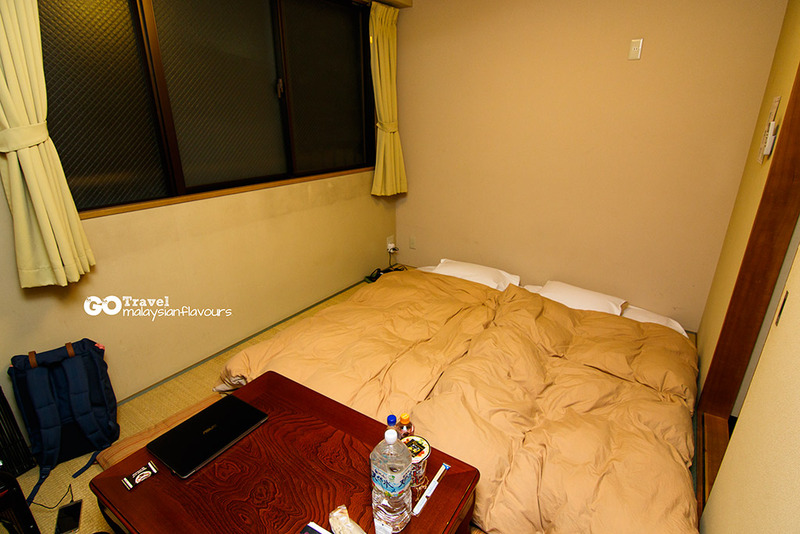 The best thing of all – sleep on “floor” because our bed in Hana Kyoto Hostel were Japanese Futon! 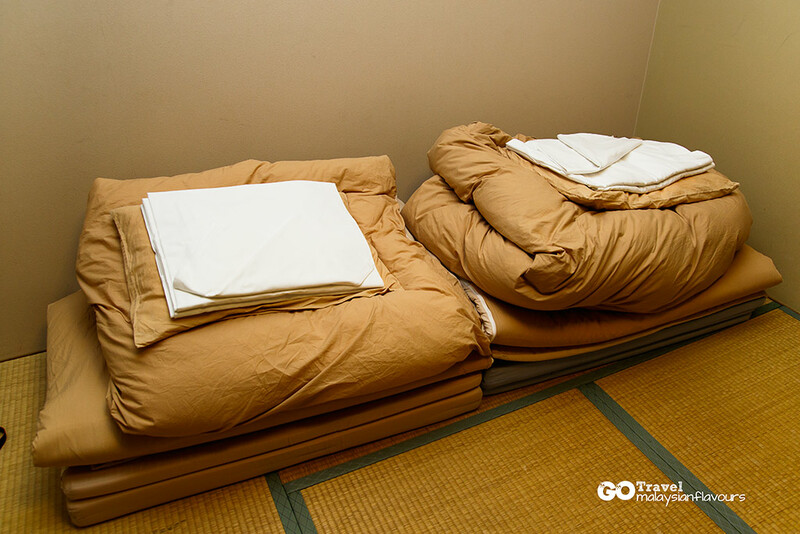 It was a fun experience setting up our Japanese Futon, which is traditional Japanese bedding consisting of padded mattress and quilt. Mattress as the base, layered with bed sheet for mattress. Then another layer of bed sheet for quilt and finally, the super heavy quilt on top. Laid them open in the evening, fold up and set at the side of the room in the morning. Else, there would be no place to walk around. Jiang Jiang! Our bed for two nights. So comfy that we almost refused to wake up the next morning! Hana Hostel Kyoto doesn’t offer breakfast. But they have a kitchen with everything you need. Stove, pans, pots, plates, cups, boiler, coffee, tea. Cook your own power breakfast before leaving for sightseeing in this culture-filled city. Besides kitchen, the common area also comprises of TV with sofa, computer for internet surfing, vending machine, etc.. 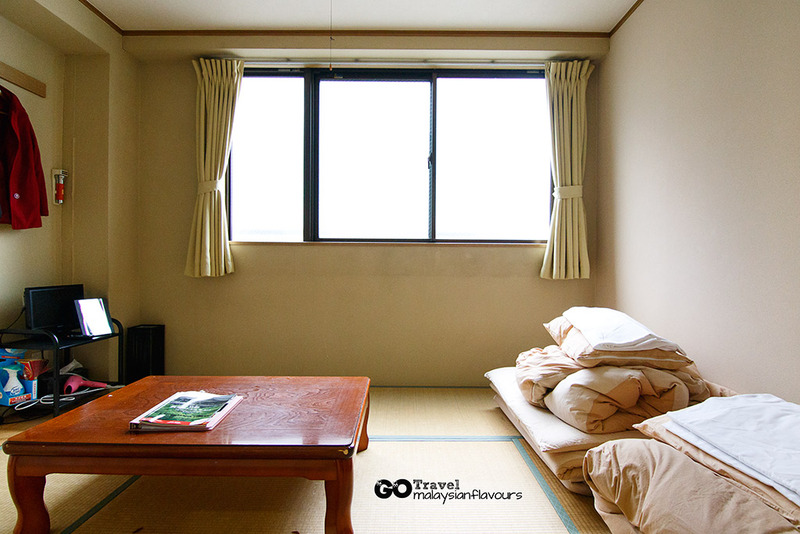 Overall review: Hana Kyoto Hostel serves as a good place for cheap accommodation in Kyoto with a touch of Ryokan style at about 2800yen (RM105) to 3600yen (RM140) per pax. A hostel that makes you feel like home because there’s kitchen, living room, computer, internet, laundry and even bicycle to use. 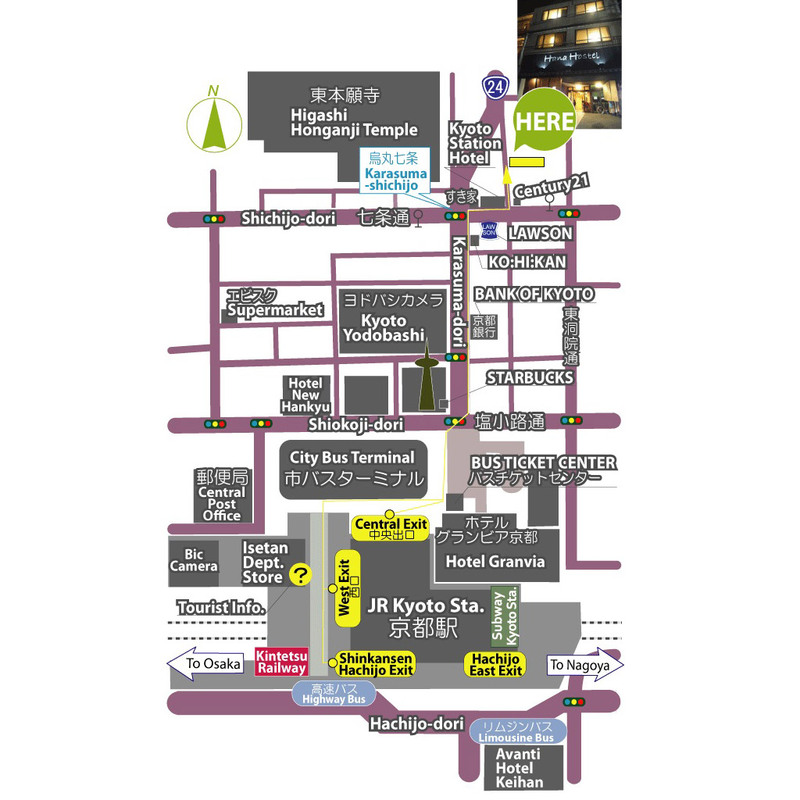 Many food to eat nearby, close to Kyoto JR train station and shopping malls too. 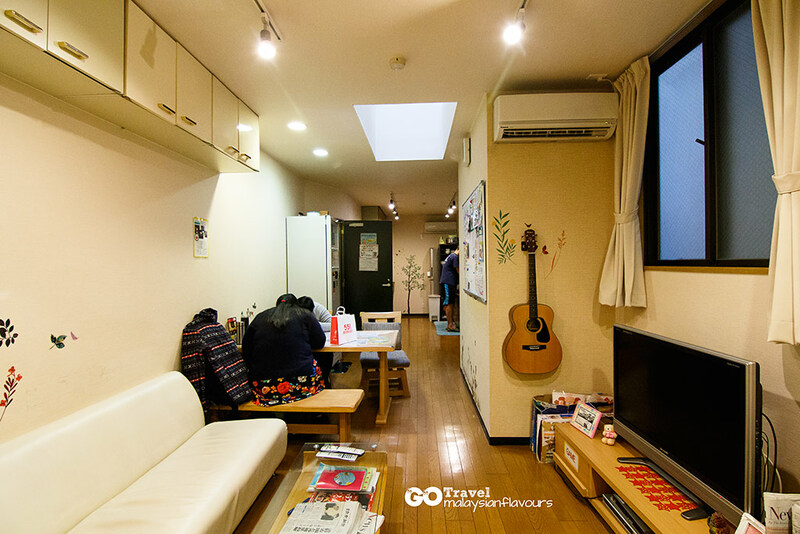 Do check out Hana Hostels in other places including Osaka, Hiroshima, and Fukuoka. 229, Akezu-dori St., Kogawa-cho, Shimogyo-ku, Kyoto, Japan.